"The southeastern United States commonly experiences devastating tornadoes under conditions that differ considerable from those on the Great Plains region where tornado research has historically been focused. NOAA/NSSL has a newly funded mandate to collaborate with the National Science Foundation in better understanding how environmental factors that are characteristic of the southeastern U.S. affect the formation, intensity, and storm path of tornadoes for this region." Several institutions within the southeastern US have been pushing this sort of idea for years. With the help of their Congressional delegations, they evidently have succeeded in forcing this absurd project on the rest of us. They assert that tornadoes in the southeast are different, and that their regional storm problems therefore have been overlooked. There's little doubt that tornado fatality counts in the southeastern US are higher than elsewhere, but it's never been demonstrated that this is the result of a difference in the meteorology of tornadic storms in the southeast. There are many non-meteorological reasons for high death rates in the southeastern US - this blog isn't the venue for a complete discussion of those non-meteorological explanations. Nor has it ever been shown that tornadoes in the southeastern US are the result of some (as yet, unspecified) difference in the physics of severe storms and tornadoes. To the contrary, there is every reason to believe that the meteorology of severe storms and tornadoes is the same the world over. Absent a compelling demonstration of an important difference in the meteorology, this program is based on an unvalidated hypothesis. Yes, the climatology of tornadoes in the southeast differs from that of the Great Plains. 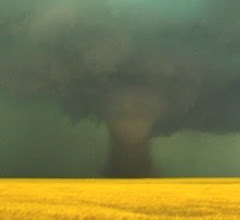 For instance, there's a well-defined tornado "season" in the plains: tornadoes occur with high frequency in the months of April, May, and June on the plains, and relatively low frequency at other times of the year. In the southeast, tornado frequencies generally are much lower than the peak months of the plains tornado season, but those relatively low frequencies only decrease substantially during the summer months in the southeast. Thus, although tornadoes are less frequent in the southeast, they can occur at almost any time of the year, including in the winter. The reasons for this are clear to most severe storms meteorologists: they have to do with the ingredients for severe storms and tornadoes, which come together often in the early to late spring on the Plains, and rather less frequently in the southeast but without a clearly defined "tornado season". This is a clear indication that severe storms and tornadoes in the southeast are more or less identical to comparable storms on the Plains. The only difference in the regions is the climatology of the ingredients, but the ingredients are everywhere the same! It seems quite unlikely that any particularly useful meteorological insight is to be gained by this project. The proposed program is patterned after the already completed VORTEX and VORTEX2 field observation campaigns in 1994-5, and 2009-10, respectively. These observational campaigns included mobile radars, instrumented vehicles to intercept storms, and so on. Doing a similar project in the southeast will be much more challenging, owing to the presence of extensive trees, substantial orography, a high frequency of low cloud bases, and a higher overall population density compared to the Plains. Visibilities needed for successful storm intercepts are just not common in most of the southeastern US. This renders even more questionable the basic concept of conducting such an exercise in the southeastern US, since it adds to the danger level for the participants, who will be much less able to see and avoid storm hazards in the course of their observational assignments. This situation is simply an example of how some institutions can game the system to secure funding for themselves. Unfortunately, government funding is basically a zero-sum game. What existing programs and projects will have to be cancelled or delayed because of this boondoggle? This is not the path to scientific cooperation and collaboration - rather, it's divisive and will damage the relations among scientists for decades to come. This is not a good idea in any way, and it speaks loudly that this ill-advised reallocation of scarce scientific resources is the result of political posturing rather than a reflection of sound scientific justification. Excellent points Chuck. I cannot see that anyone could debate your assertions (which I guess could take the fun out of it too! lol!). The only benefits that I could imagine coming out of this would be 1. it (perhaps) could raise public awareness of the dangers of tornadoes outside of the highly publicized, highly-photographed examples in the traditional tornado alley. 2. It will bring in some funds to universities & colleges in the SE states, which may allow them to expand programs & hire more experts in severe weather. Having said that, if all of this comes at the expense of funding elsewhere, especially funding that has been supporting existing research & successful initiatives, then the benefits in the SE states will be far outweighed by the loss of programs that benefit academics & the public in all parts of the nation. Interestingly, here is the full text from Senate committee report (emphasis mine): "Southeast Tornado Research.--NSF has previously worked with NOAA on tornado related research in the Midwest with the Vortex I and Vortex II research campaigns. This research provides valuable insight into the formation of storms in this region and assists in lengthening the warning time for these violent storms. The Southeast region of the country also experiences tornado activity, but under different environmental and geologic conditions. The Southeast has not been the focus of previous Vortex research campaigns. Therefore, the Committee directs NSF to collaborate with NOAA's Weather and Air Chemistry Research Programs to focus on tornadic activity in the Southeast through a Vortex Southeast [Vortex-SE] research campaign. NSF shall report to the Committee within 180 days after the enactment of this act on these efforts." I find it interesting that Senate thinks that "geologic" conditions impact tornadogenesis. Also, I agree with your assessment that Senate and politicians in general shouldn't choose which science projects get funded. Just for purposes of clarification: I'm definitely not opposed to increasing support for tornado science. Having a VORTEX-like field campaign in the southeast is what I believe to be a bad idea. But I think it's unethical to fund science this way, and scientists should be more concerned about the ethics of where their money comes from (as in the tobacco lobby, or the climate change deniers). I would also suggest (and I'm not alone in this view) that it's way too soon after V2 for another big field campaign. We need new ideas and new technology that would fill in the gaps left by the two previous VORTEX projects. I maintain there's no reason I know anything about to support the idea that near-storm environments in the southeast are unique to that region. Given the logical possibility that there IS a real difference, someone needs to do a careful study that shows the differences rigorously, and publish the findings in a refereed journal. And they have to be able to show that the differences would result in a real difference in the physics of storms between the regions. If substantial differences between the regions existed and were unknown to science, then it would seem plausible to predict that severe storm forecasting in the southeast would be radically less effective than on the plains. Has anyone shown that the SPC is particularly inaccurate in their forecasts for severe storms in the southeast? I am personally worried about what this means for chasing and other traffic issues in the South. Here, we do occasionally see other chasers, but for now, we do not see those long lines of chaser convergence. If VORTEX thinks they can simply roll their 100-vehicle army into the woods of Mississippi, they've got another thing coming. And God help us if another errant TV show tries to follow them here. Dan Lilledahl from Georgia said: Good comments Chuck. And agree with you Garrett Fornea...I live and work in the Atlanta metro area as a Meteorologist and I would loath to see the day chasers tried to converge on the Atlanta metro, with it's near-legendary traffic snarls. I think it is just plain silly to propose that there is some different kind of "meteorology" going on here in the deep south versus in the Midwest (where I grew up) and Central Plains in regards to tornado formation. I think the only plausible differences arise from awareness (getting alerts to people in rural areas especially), the time of day some unfortunate events occurred (Gainesville, GA way back on April 6, 1936, which killed 203 people, occured in the morning, for example), and visibility issues, albeit April 27, 2011 would take issue with that. From Dan Lilledahl from Georgia again...Chuck, I like your last sentence in your "Update" about the SPC and inaccuracies in severe storms forecasting for the southeast. I had a near front-row seat to April 27, 2011, and after combing through the SPC's archive of their forecast products (outlooks, mesoscale discussions, watches) for the event, they were VERY clear in their wording of how serious the event was turing out (verbage such as "historic", "classic" were bandied about). are much more infrequent in the southeast than the plains, but you can get many in one day when an "outbreak" occurs. I'm deleting your last two comments. If you want to carry on a discussion with someone else making comments here, please make it relevant to the topic. For such things as link issues, I ask that you not use my blog for that.